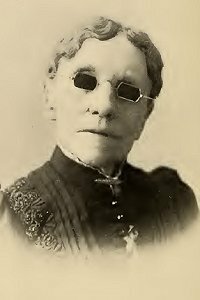 Fanny Crosby, 1894; appeared in Special Sacred Songs # 1, by Ira D. Sankey, James McGranahan, & George Stebbins (New York: Biglow & Main, 1896). A humorous story tells that a child misunderstood the words of the third verse as Gladly, the cross-eyed bear. Theodore E. Perkins (🔊 pdf nwc). Till life’s brief day shall end, be Thou ever nigh. I shall be satisfied, ever close to Thee. Hear Thou and grant my prayer, hide my life in Thine.